On March 14th and 15th, 2018, an International Brigade in Solidarity consisting of people from Switzerland, Portugal, Mexico, Italy, the Spanish State, Colombia, Brazil, Belgium, Austria and Argentina visited the Committee for the Defense of Indigenous Rights (CODEDI) Training Centre in Finca Alemania, in response to the violent attack suffered on February 12th, 2018, in which three community defenders were cowardly murdered. The Brigade visited the autonomous project in construction at this Training Centre, whilst hearing the testimonies of survivors of the attack and the analysis of the current situation on behalf of members of the organisation’s different committees. 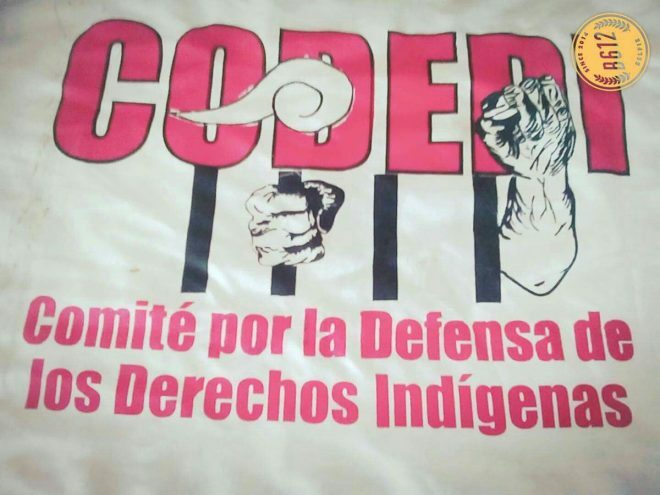 CODEDI is an organisation focused on defending indigenous territories and building autonomy. Its origins lie in a small theatre collective which promoted community organising to transform living conditions. 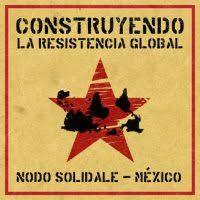 CODEDI as an organisation has gone through a number of phases in its struggle in defense of indigenous rights. In its initial phase, between 1997 and 1998, conflicts with the ruling political party led to the creation of the first free municipal government in Santiago Xanica elected by the system known as usos y costumbres (a right recognised in the Oaxaca state constitution for indigenous peoples to elect their representatives without the participation of political parties). In 2005 a phase began in which CODEDI faced criminalization and violent repression, including the imprisonment of Abraham Ramírez Vázquez, Juventino García Cruz, and Noel García Cruz in the context of a police invasion of Xanica which led to several people injured and one death. Afer obtaining the freedom of their prisoners after six years and three months, CODEDI has strengthened its organisation, leading to the recuperation in 2013 of more than 300 hectares of land for the creation of a Training Centre in Finca Alemania. In this third phase, over 2,000 families have joined CODEDI, which now has a presence in 48 communities in the Sierra Sur, Istmo, Valles Centrales, and Costa regions of the state of Oaxaca. The Finca Alemania Training Centre is a space where the dreams of community autonomy find practical expression in the construction of 18 production and training workshops, including carpentry, garment design and manufacture, agroecology, vehicle mechanics, natural medicine, animal breeding, blacksmith’s trade, brickmaking, bakery, bee-keeping, music, theatre, etc. There are also four levels of autonomous education (from kindergarten to high-school) in which educational programs seek to bridge local communities’ concrete needs with the construction of critical thinking. This entire process has been possible thanks to collective labour (under the rotational, voluntary work system locally known as tequio) in which members of the 48 communities participate, represented by local committees in the organisation’s General Assembly. Daily life in Finca Alemania is organised by the coordination amongst the youth committee, the trainers committee, the general committee and the political commission, which all participate in dialogues with the General Assembly, CODEDI’s main decision-making body. On February 12, 2018, sicarios (gunmen) in a green Chevrolet truck overtook and opened fire at the vehicle in which five CODEDI members were travelling. Alejandro Antonio Díaz Cruz (42 years old), Ignacio Basilio Ventura Martínez (17 years old) and Luis Ángel Martínez (18 years old) were assassinated in this ambush carried out with assault rifles (AR-15) which are by law the exclusive use of the Mexican military. Emma Martínez, a member of CODEDI, and Abraham Ramírez Vázquez, the organisation’s general coordinator, survived the attack. Although investigations have been initiated by Oaxacan authorities (Fiscalía del Estado), there are still no results, five weeks after the ambush. The state governor, Alejandro Murat, has yet to make a public declaration on the attack, and thus CODEDI – along with many other organisations – hold the state government responsible, by complicity or omission. On the day of the attack, the CODEDI members had attended a meeting with state government officials to discuss a post-electoral conflict in Santiago Xanica. Upon leaving the meeting, the CODEDI members were ambushed on the way back to Finca Alemania. Since its creation, CODEDI has suffered threats from different groups of power. 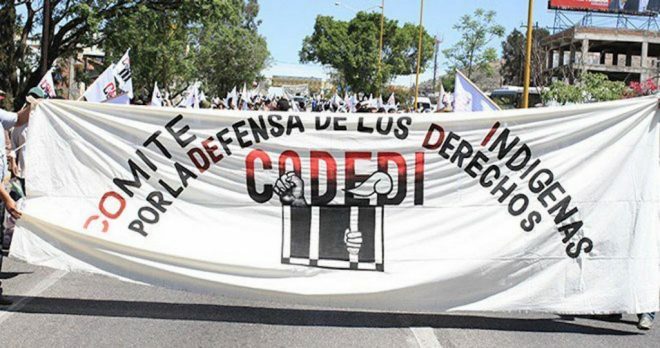 Although CODEDI does not participate directly in elections, the organisation has constantly denounced frauds against the usos y costumbres system. In light of a post-electoral conflict in Santiago Xanica, local factions interested in positioning an authority close to the state government have made death threats to CODEDI members. Furthermore, the implementation of the tourist project Bahías de Huatulco has led to the dispossession by large hotels of thousands of hectares of beaches and forests, as well as community’s water sources. Amongst other things, CODEDI has sought to strengthen the organisation and struggle of San Miguel del Puerto, a community which continues to demand land restitution or compensation considering the expropriation of 22,000 hectares in 1984. In the context of mobilisations organised in Huatulco and the capital of Oaxaca to demand justice for these expropriated lands, regional hotel owners led a public campaign seeking to discredit Abraham Ramírez Vázquez and CODEDI by, among other things, placing “wanted” billboards on bridges and pedestrian crosses. Additionally, CODEDI has resisted attempts by the hotel district to privatize water sources to fill their pools, whilst also proposing alternative solutions to address the water needs in popular neighbourhoods of Santa María Huatulco. Another latent threat to CODEDI’s land and territory has been the appearance in the past year of a group of lumberjacks associated with organised crime who, according to local testimonies, are protected by local, state and federal government authorities. The exportation to China and Japan of a precious timber from the tree known as granadillo, apparently used in the dashboards of luxury vehicles, has led to the devastation of the Sierra Sur’s forests. In response to this (often armed) incursion into their territory, CODEDI has responded by defending and protecting the forests and jungles of the members of the community organisation. However, the safety of CODEDI members and the region’s inhabitants who oppose forest devastation is at high risk. In addition to the fact that 7.8% of the state of Oaxaca has been ceded in concessions to mining companies, there are at least nine mining projects and five hydroelectrical dam projects in the organisation’s area of influence. Considering the historic conspiration between mining companies, government officials and paramilitary groups, it is evident that these extractivist projects imply constant and violent threats to the community organisation. In response to this panorama CODEDI is in constant mobilisation, with sit-ins, information dissemination activities and alliance-building, including the Counsel of Autonomous Oaxacan Organisations (COOA, in Spanish), to demand justice for the murdered community defenders and face what they have defined as State terrorism. While consolidating the building and strengthening of the Finca Alemania Training Centre’s autonomous process, CODEDI maintains its commitment to cultural activities by hosting the Second National Gathering of Popular and Community Theatre, with over 48 artistic interventions from different parts of Mexico and the world. The International Brigade in Solidarity with CODEDI expresses its most serious concern in light of documented threats which persist to this day. 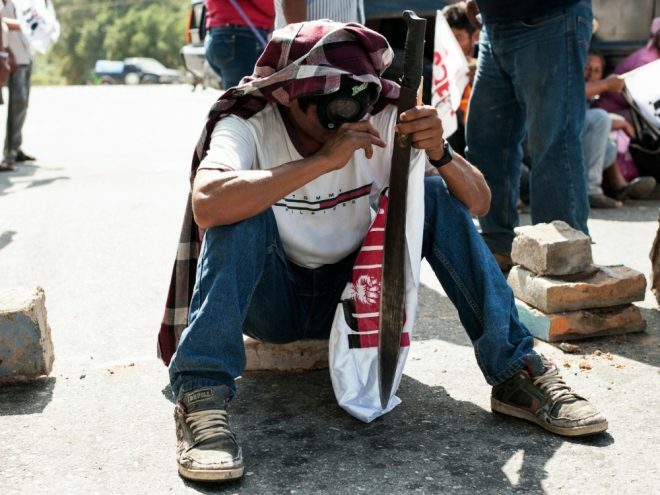 These threats put at risk the integrity and security of community defenders, the autonomous Finca Alemania Training Centre, and the territory of indigenous peoples of Oaxaca. Justice for the community defenders assassinated on February 12th, 2018, in the context of a massacre against the Mexican people which has caused over 200,000 violent deaths over the past 12 years. Respect for indigenous peoples’ autonomy. This includes the cancellation of all extractivist projects which threaten life and territories. ther actions to provide visibility to these demands, each one in their own timeframes and forms of organisation, so as to reiterate with this campaign that solidarity is peoples’ tenderness.